Very fast, stable to overstable driver, ideal for sidearm throwers and those with lots of power. The Destroyer is my competition distance disc. I keep a stack JUST for distance competitions. I have an advantage when I throw it, because I trust it. 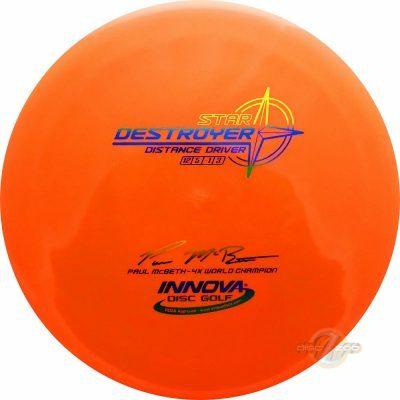 Destroyers have more glide for me than any other disc. One day, I will break the World Record with this disc.